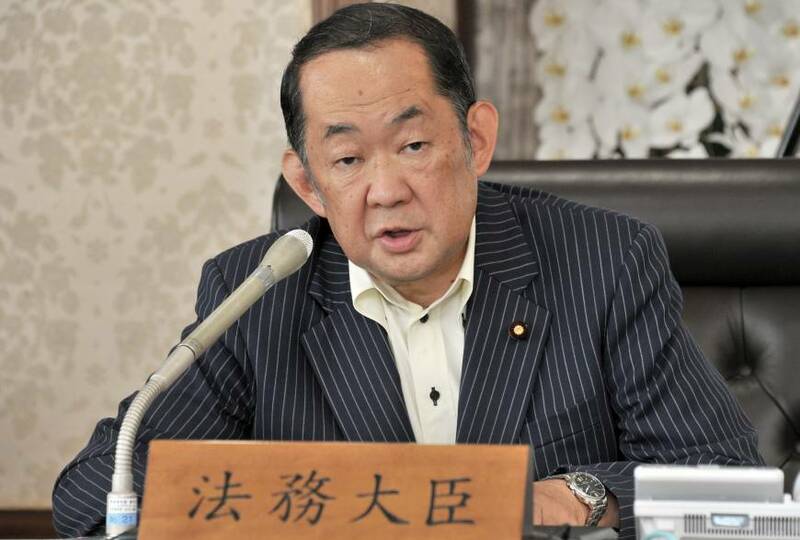 With the anti-hate speech law now on the books after its passage in May, new Justice Minister Katsutoshi Kaneda said Tuesday his ministry will accelerate efforts to eliminate discrimination against people because of their race or nationality. “We are now trying to formulate a plan on how to stop hate speech,” said Kaneda in a group interview at the ministry. “This September, ministries and local governments will hold a meeting together” in the first collaborative effort to tackle the issue, he added. The announcement comes at a time when the government and a court have already taken unprecedented steps in combating intolerance. On Aug. 2, the Justice Ministry said it issued a warning to a man for discriminatory remarks he and his group made against Korean women during a demonstration he organized in Kawasaki in January. It was the second time the individual had been admonished over the issue. In June, the Yokohama District Court handed down a provisional injunction, the first of its kind, prohibiting the man’s anti-Korean group from holding racist events and demonstrations within 500 meters of the office of a citizens’ group fighting hate speech. Kaneda warned that such behavior should not be tolerated. He added that the Justice Ministry plans to organize groups of experts from its Human Rights Bureau to be available to counsel victims of hate speech. It will also provide the necessary training for advisers, he said. Turning to issues related to refugees, Kaneda gave no signal of any changes being considered in current policy. “We decide whether an applicant should be judged as a refugee based on what is defined in the refugee treaty,” he said. According to the Justice Ministry, the number of people who applied for asylum in 2015 jumped roughly 50 percent to a record 7,586. Of that number, the government recognized only 27 as refugees. However, Kaneda added, the government does, depending on the situation, let some people whose refugee status has been denied stay temporarily in Japan out of “humanitarian consideration” after assessing the situation in their home country. In 2015, the government granted 79 individuals the right to stay temporarily. 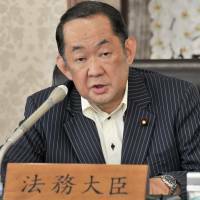 Kaneda, a newcomer to the Cabinet, served as a Finance Ministry bureaucrat for 22 years, working mainly in the Budget Bureau, after graduating from Hitotsubashi University in 1973. He was elected to the Upper House in 1995 before switching to the Lower House in 2009.